Stockholm is hands down one of my favourite cities and it was awesome to head back there recently on my Princess Cruise and spend a day exploring it again. 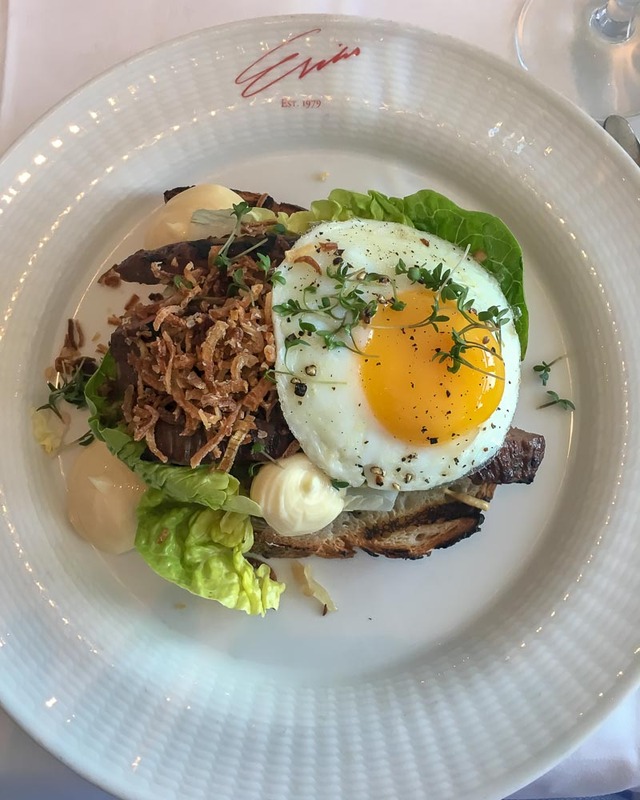 If you are planning a longer visit then also check out my weekend in Stockholm without breaking the bank post, or to see what you can explore in one day scroll down. 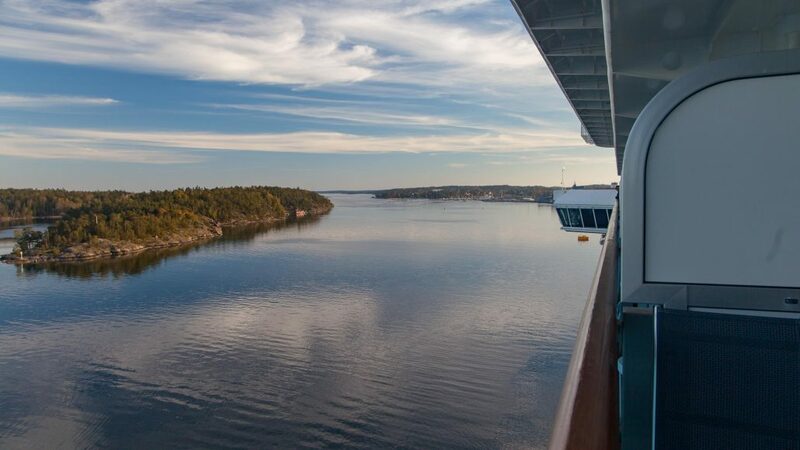 If you are arriving on a cruise you’ll either dock in the city, which is nearer but actually means less time on land due to port rules, or dock in Nynashamn which is further out but allows for more time to explore. 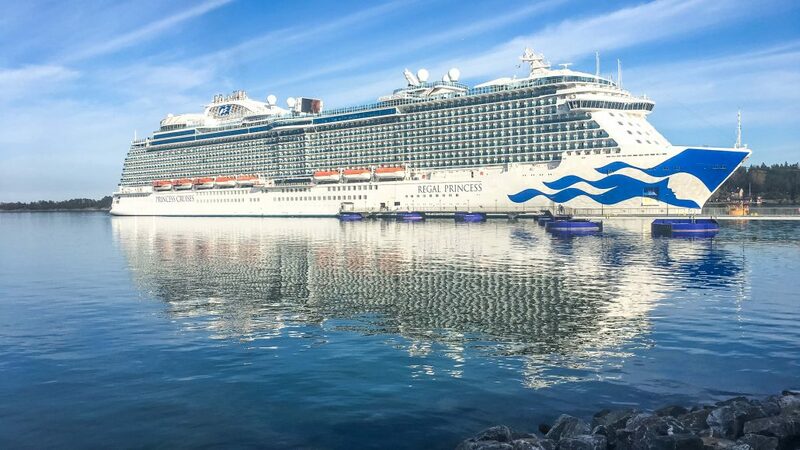 You can see a few highlights from Stockholm at 7:25 on my cruise video. 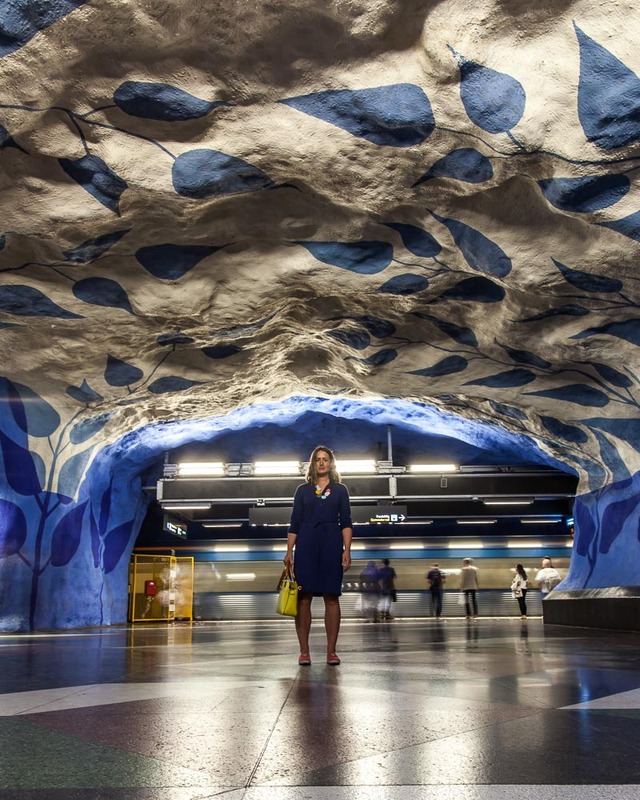 While I’m a massive advocate for exploring a city on foot, in Stockholm the underground system is a huge part of the city for more than its transport, so here the rules change. 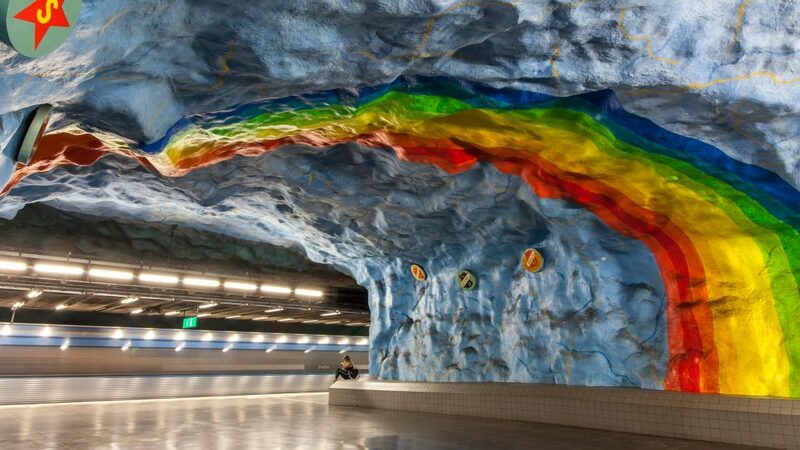 With many of the stations having unique artwork displays covering the jagged rock caves, you can get around quickly on your day trip here while also admiring an underground art gallery. 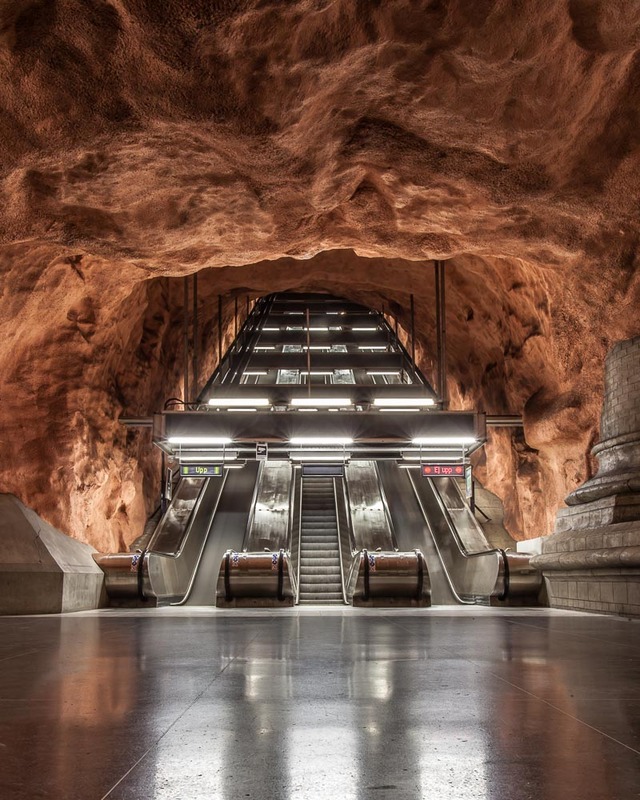 It’s worth checking out all of the best Stockholm underground stations even if they aren’t near something you want visiting though if you only have one day in Stockholm, then pick a handful to explore. One of the best things about Stockholm is how green, clean and breezy it is, in part thanks to the many rivers running through it. I always advise people to hire a kayak and spend at least an hour admiring the city from a different perspective but be aware most of these businesses only open during the height of summer. 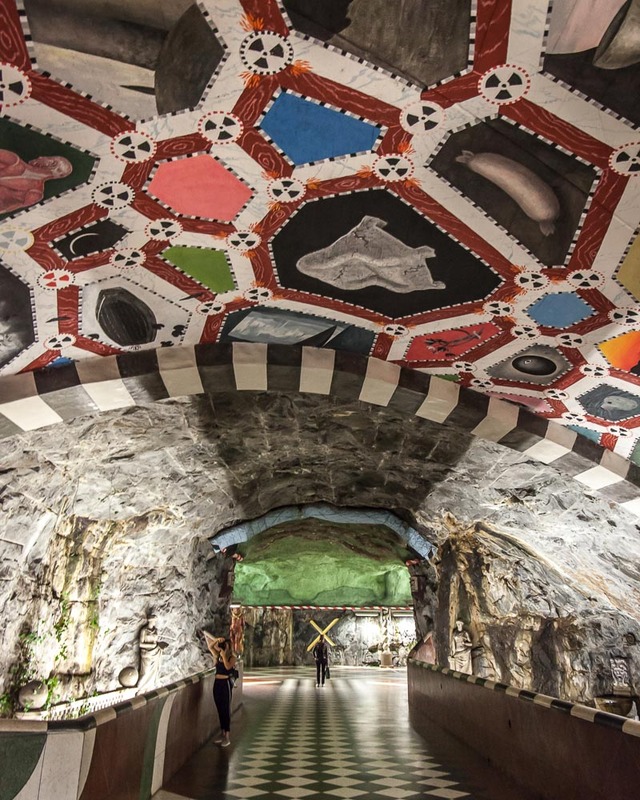 You’ll also find plenty of museums in Stockholm, including the impressive Vasa museum which houses the old ship in its entirety and pays homage to just how important the oceans have been to Sweden over the years. 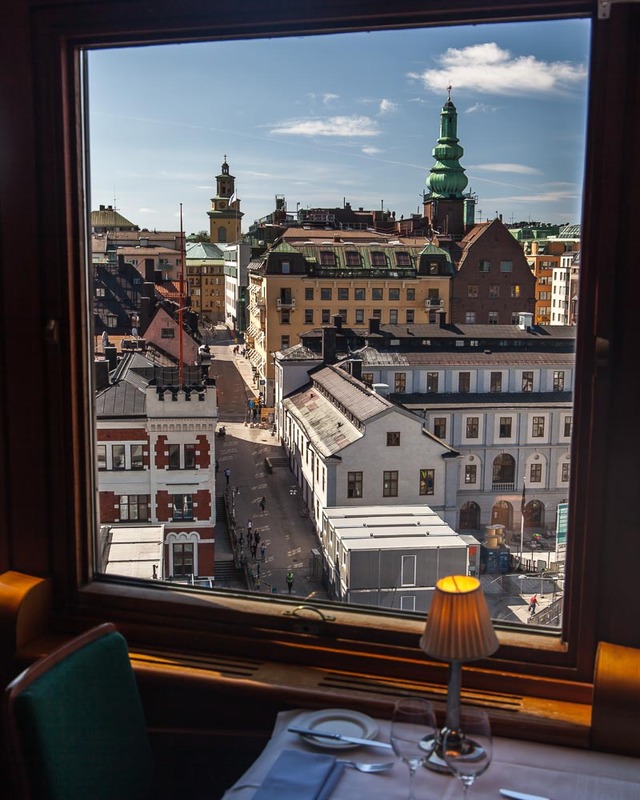 In fact, there are countless museums and galleries in Stockholm, the Abba one is good for a laugh, and the Photographic is one of my favourites, but there is something for everyone. 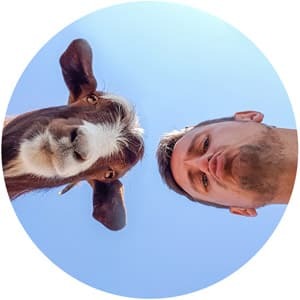 Grona Land, an assessment park on one of the islands is a great pick for families or if you just want to kick back with a picnic lunch then head to Djurgarden, a leafy island where many locals can be found relaxing. 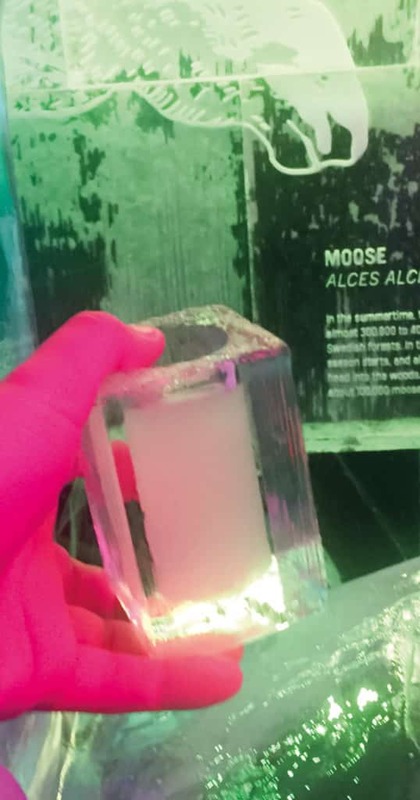 There is no shortage of rooftop bars or fancy restaurants with magnificent views of the city. Meatballs, seafood and local soups are popular across menus here, and Herring is a favourite fish, usually pickled, to enjoy in Sweden. 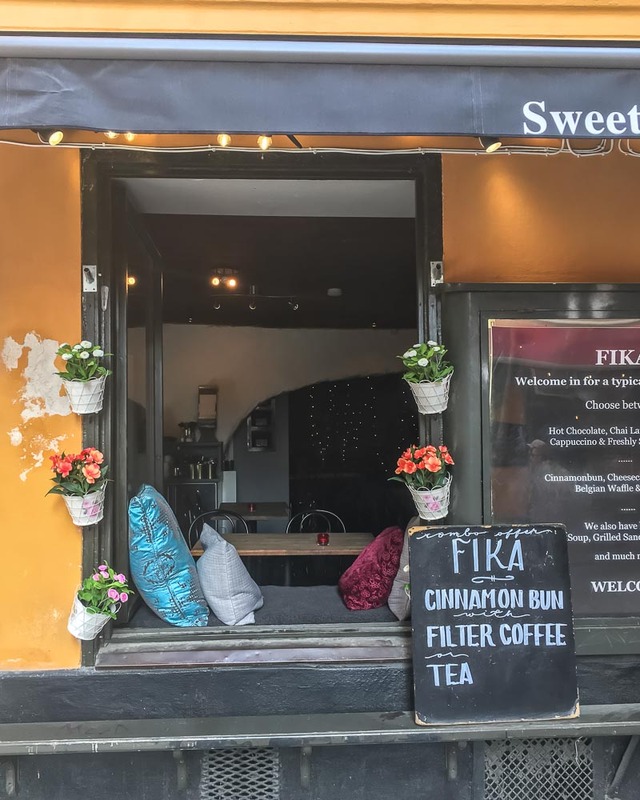 Having coffee and cake with friends is such a big deal in Sweden it has its own name: Fika. 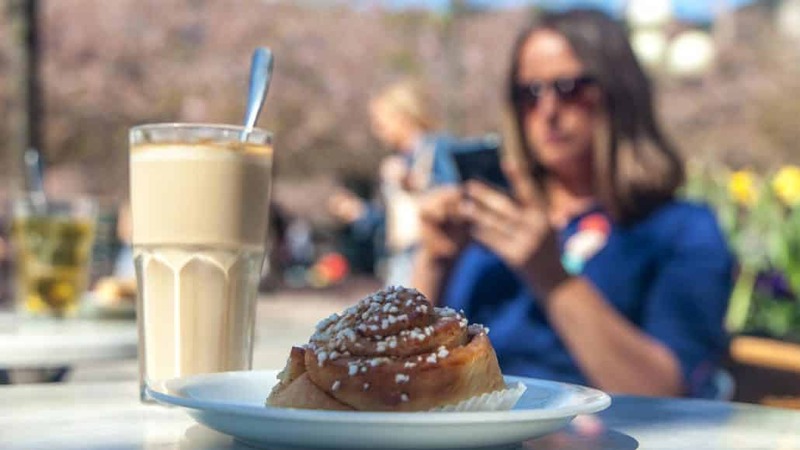 Danish pastries, especially cinnamon buns, can be found in countless cafes so settle in and get your people watching skills out to enjoy a cheeky sweet treat in the name of local culture. 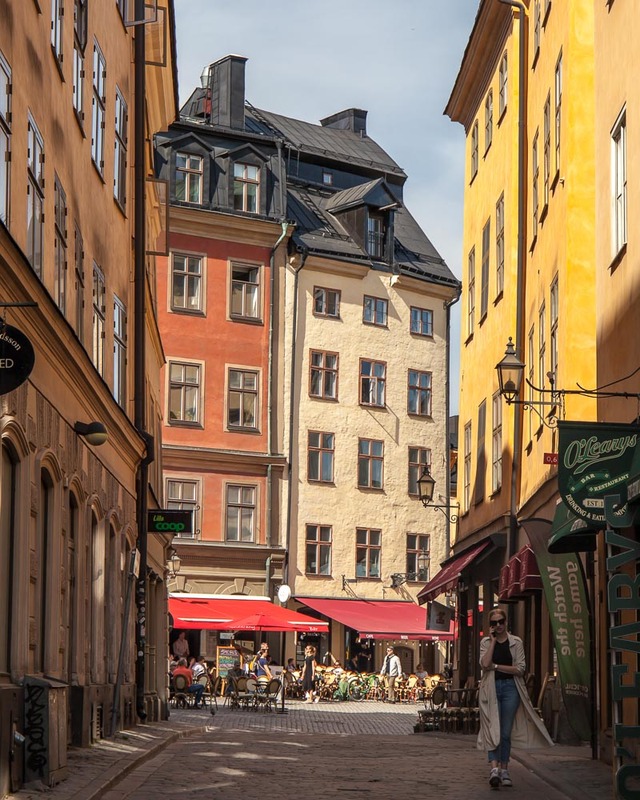 When I spent a week in Stockholm many years back, I stayed in Soldermalm, a relatively residential neighbourhood that has become a hot-spot for shops of quirky clothes and hipster treats. It’s a complete contrast to the old town and if you need to revamp your wardrobe, take an hour out to walk the streets here. 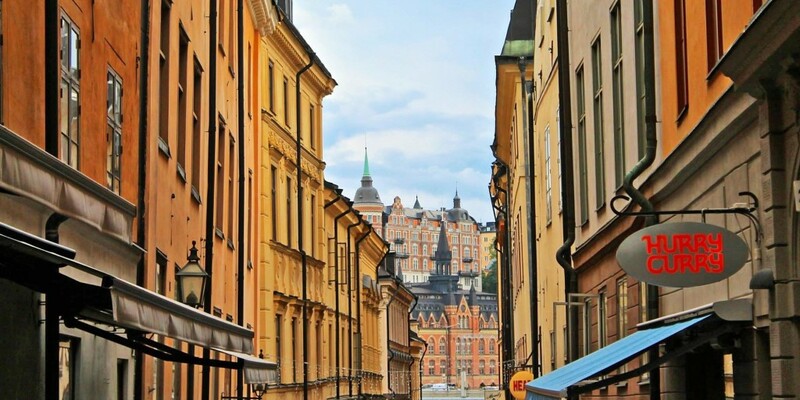 The old town, Gamla Stan, is where you will likely spend most of your time in the city if you only have one day in Stockholm. 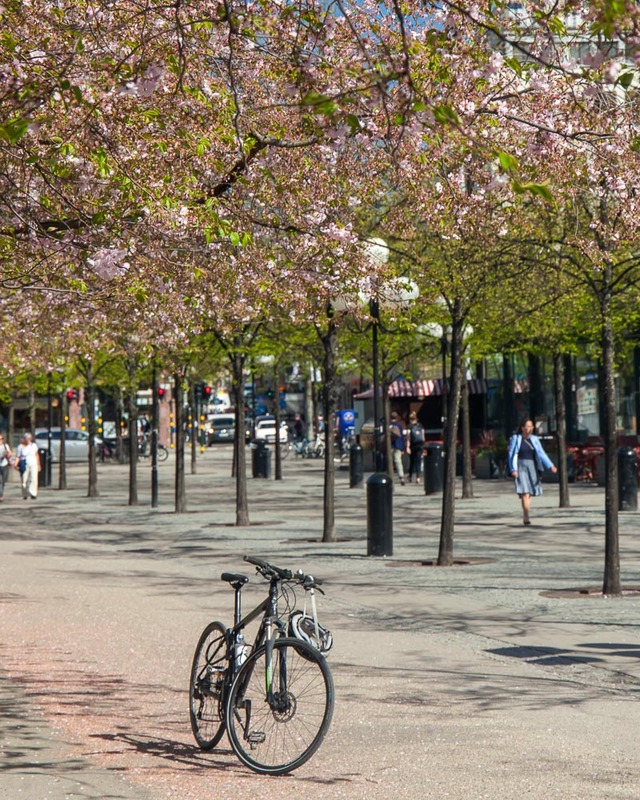 Start in Stortorget, the oldest square in the old town and then get blissfully lost in the small streets of tall colourful houses leading off the square. A lot of my best memories in Stockholm are from just taking a stroll and not paying any attention to where I am going. 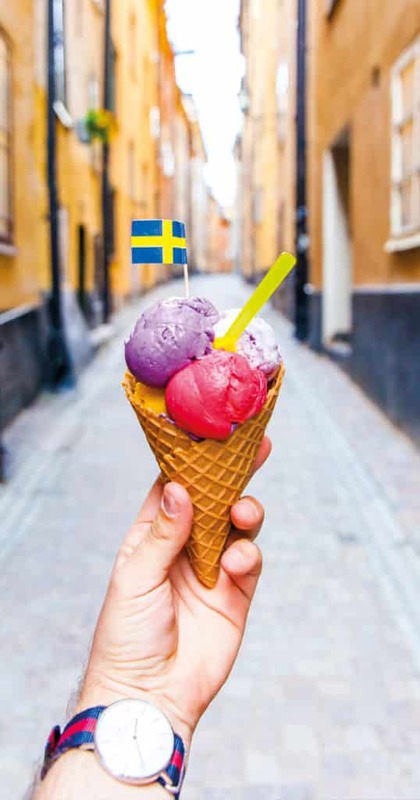 You might stumble into a surprisingly good gelato shop, end up at the Ice Bar or find yourself inside a grand church; you’ll never be short of things to see or do in Stockholm. 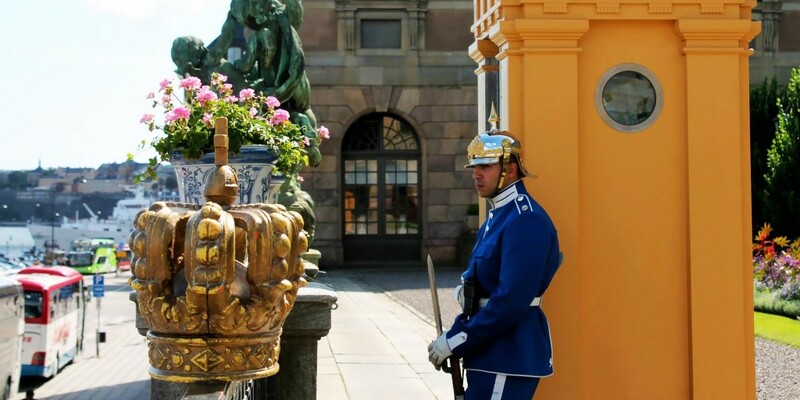 While you can go inside the Royal Palace which is still in use today if you want to save time or money, then admire it from the outside where gold crowns line the fence, and the guards stand on duty in their navy blue suits. Changing of the guard is quite dramatic to watch and can include guards on horses and an accompanying band, up to date information on times can be found on the official website. One of the most impressive palaces, Drottningholm, which sits amongst pretty gardens outside the centre is about 40-minutes away by car or public transport and if you have the time, also worthy of a visit. 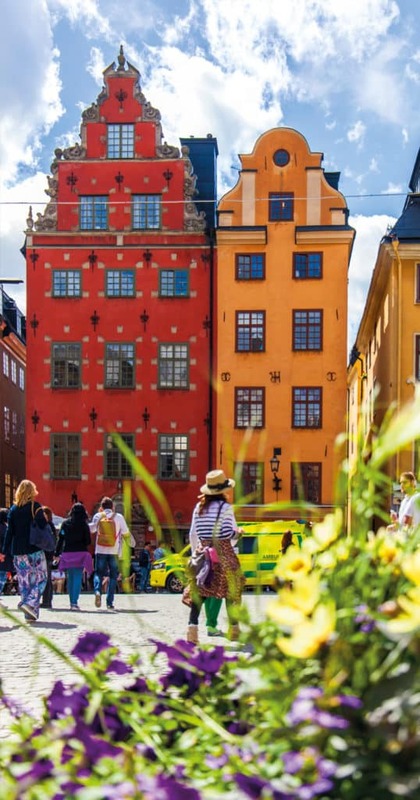 I’ve visited Stockholm four times in different seasons and without a doubt, the best time to visit Stockholm is summer or late spring and early Autumn. 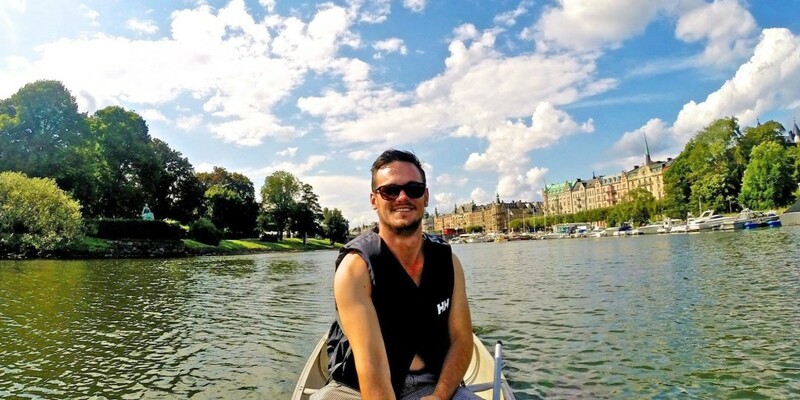 I appreciate much of Scandinavia is almost magical in the snow, but when it comes to the cities, I think the sunshine wins for the fact you can kayak, sit outside and soak in the vibe of one of the best-designed cities in Europe. 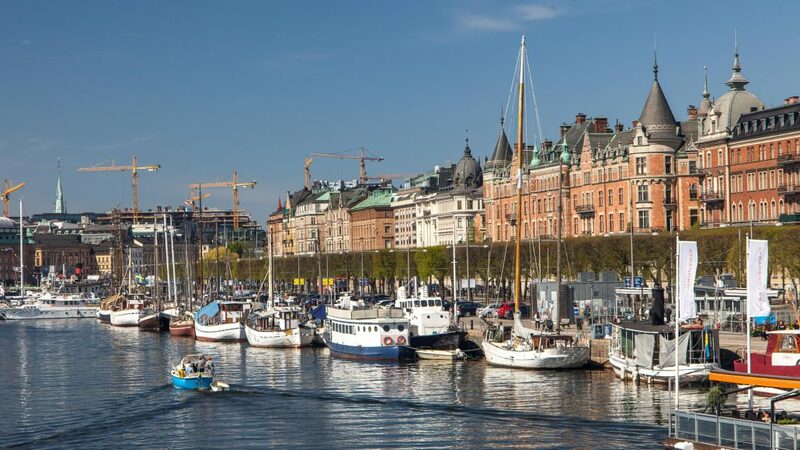 Visiting again by Cruise in early May confirmed for me that when the sun is shining, Stockholm is the place to be.